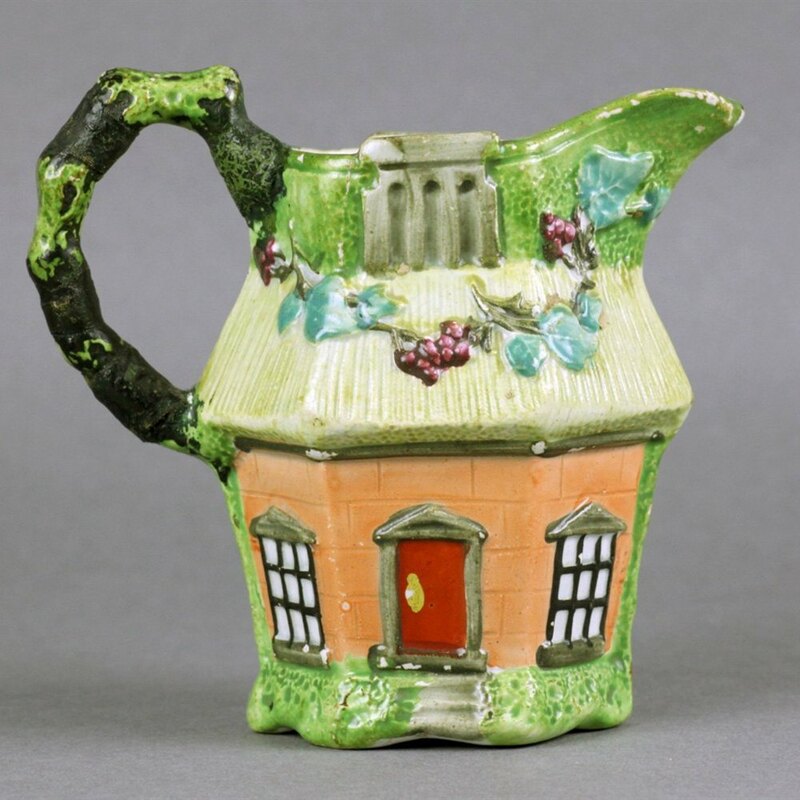 We offer this scarce antique Staffordshire painted pearl ware cream jug modeled as a cottage and dating from around 1800. 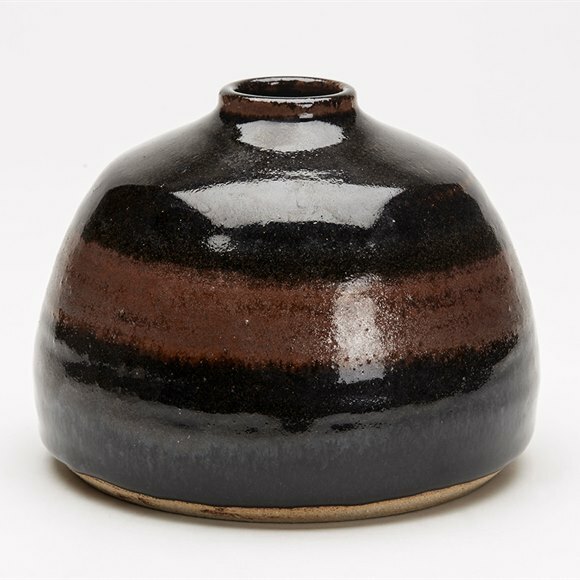 The small jug is well detailed with the body moulded with windows and doors and with the soulder moulded as the roof and top edge with chimney set amdist greenery. The jug is typically not marked but is a rare and delightful example!